Rodney Pigford rises before the sun most days, hoping to get a jumpstart on his day before heading to work with the rest of Denver. During lunch breaks, he attends to personal business, and spends his evenings relaxing or watching a movie he rented at the local library. Rodney lives modestly, occasionally taking small jobs to make ends meet, and enjoys giving back to the community through volunteering. After years working in landscaping, Rodney said he’s ready to try something new. It’s an ordinary routine for some, but it’s a routine he’s grown accustomed to. Rodney grew up in Park Hill with three brothers and a sister, and attended school at nearby Thomas Jefferson High School. In school, Rodney was active with the ROTC. He had plans to enlist in the Air Force, following in the footsteps of his uncle. Instead, he found himself working at a local manufacturing plant on the assembly line before working his way up to driving a forklift at nights in the warehouse. Rodney is just like you or I, if not for one detail – he’s homeless. He sleeps behind a small business in Five Points in exchange for maintaining the property’s grounds. Most days, he washes up with a hose and irons his clothes on a makeshift ironing board consisting of piece of wood and a towel. Rodney’s journey to homelessness is heartbreaking. When his mom became ill, he dropped everything to take care of her. He spent more than five years by her side before she passed away in 2014. Rodney, who was always close to his mom, knew he had a responsibility, even when it meant the unthinkable. As his mom’s health declined, he knew what was coming. Thankfully, Rodney’s story doesn’t end there. After shuffling between couches in Park Hill and a brief stent at a local shelter, a family friend helped connect him with the business he now sleeps behind. Volunteers at the business fondly refer to Rodney as their guardian angel. And he’s also found a second home at the Volunteers of America Colorado Mission, where he spends the majority of his time. He first heard about Volunteers of America through shelter connections, and began eating there regularly. It wasn’t long before he was invited to help volunteer in the kitchen he now runs. Volunteering has essentially become his full-time job, often staying beyond closing time. Rodney has learned to navigate the kitchen with ease and manage the flow of guests both tactfully and effortlessly. Despite not drawing a paycheck, Rodney has twice been voted Employee of the Month at the Mission due in large part to the amount of time he dedicates to volunteering. Although Rodney excels at managing volunteers and running the kitchen, his willingness to help around the Mission beyond his kitchen responsibilities hasn’t gone unnoticed by other volunteers. More than two years after his mom passed away, Rodney hasn’t been able to find his way out of homelessness, though he’s continued to weigh his options. He’s applied for Section 8 housing through Denver Housing Authority and attended Bayaud Enterprises’ employment training, all while continuing to serve full time at the Mission. 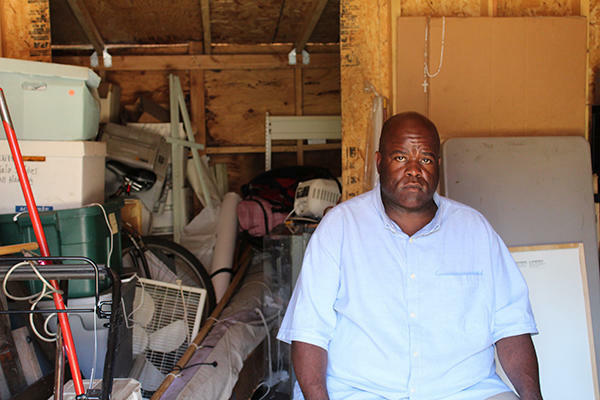 Rodney might be homeless, but he refuses to let it define him. His commitment to serving in the Mission is one way he distances himself from being just another homeless individual. Volunteers of America is a national, nonprofit, faith-based organization dedicated to helping those in need live healthy, safe and productive lives. Since 1896, our ministry of service has supported and empowered America's most vulnerable groups, including the frail elderly, people with disabilities, at-risk youth, homeless individuals, women in need, and veterans and their families. For more information about Volunteers of America, visit www.voacolorado.org.